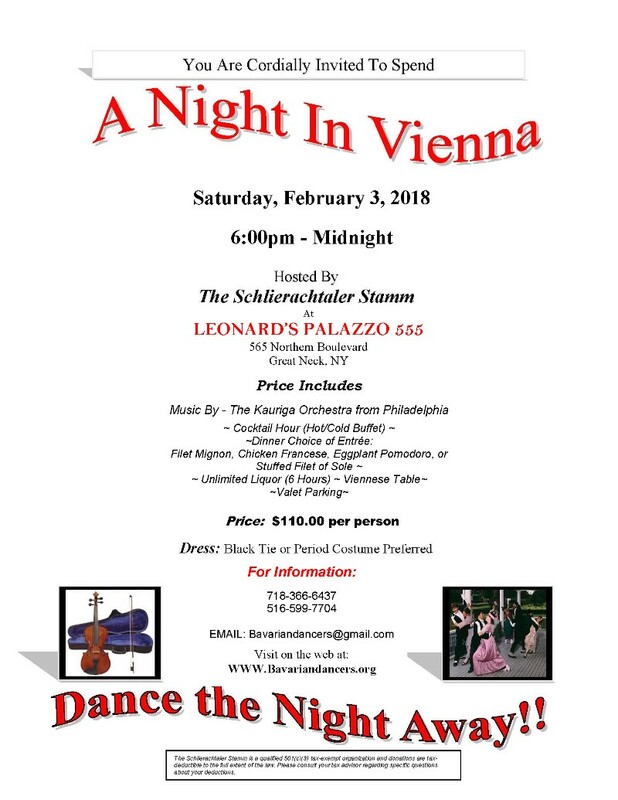 The Schlierachtaler Stamm of Franklin Square, NY, invites you to their annual "A Night in Vienna." Saturday, Feb. 3, 6 pm-midnight, you can dance the night away at Leonard's Palazzo in Great Neck. See the flyer for details and how to buy tickets.